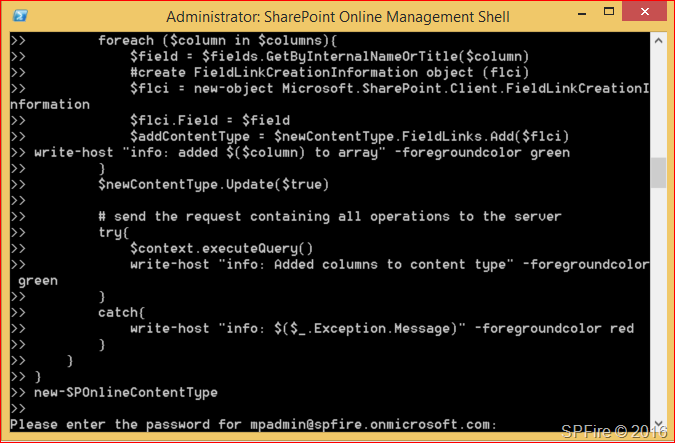 This script will create a new content type in SharePoint Online using CSOM. We have created three site columns in part 4 and we will be adding them to a new content type. $contentTypeGroup = "My Content Types"
$contentTypeName = "Blog Content Type"
$columns = "BlogNumber", "BlogText", "BlogUser"
You can verify if the content type has been created successfully by going to site settings and then content types. 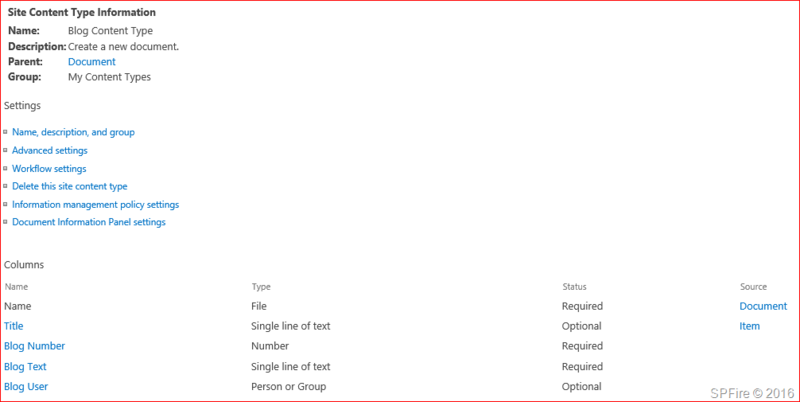 You can find more properties for the ContentTypeCreationInformation class at https://msdn.microsoft.com/EN-US/library/office/microsoft.sharepoint.client.contenttypecreationinformation_members.aspx. 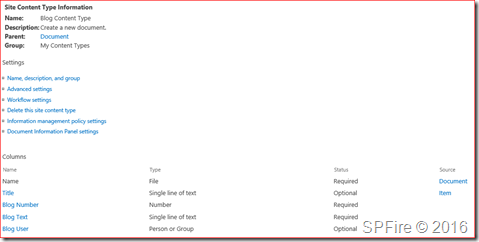 You can find more properties for the FieldLinkCreationInformation class at https://msdn.microsoft.com/EN-US/library/office/microsoft.sharepoint.client.fieldlinkcreationinformation_members.aspx.